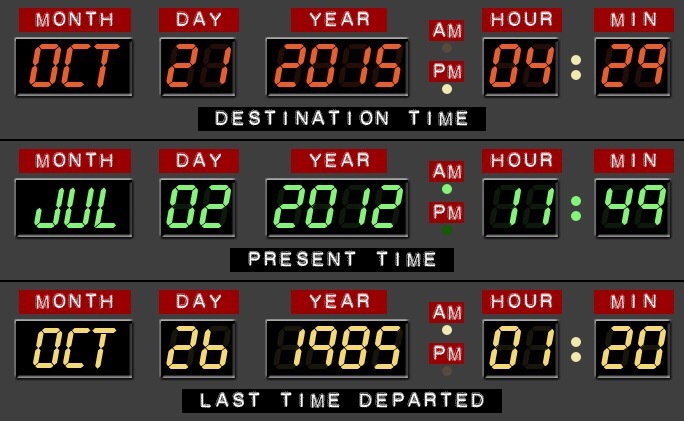 I would have had to avoid social media and TV totally today, to miss the fact that this is Back to the Future Day. October 21, 2015 is the future date that Marty McFly and Doc Brown travel to, to save Marty’s children…that haven’t been born yet in his time. Back to the Future Part II released in 1989 and offered a glimpse into the not so distant future. I’ve had fun today reading up on how well the movie predicted 2015….and scrolling through interesting trivia. 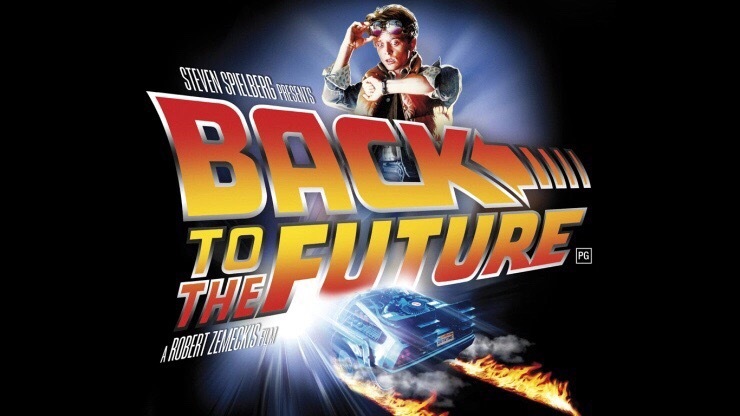 What are some things that Back to the Future II got right about this year, and what did they miss? In 1989 most tvs were square blocky sets, and many were still encased in cabinets. And the ability to see each other on a screen and talk to each other was thought about but not in use yet. Drones exist and are currently used for a multitude of purposes. Major media companies like CNN are looking at ways to use drones for news coverage. Such glasses exits. Google Glass, Occulus Rift and Samsung VR are current brands. Pepsi still exists, and has released a limited edition Pepsi Perfect, like Marty orders. Pizza Hut does as well. In reality, the Jaws movie franchise only made it to #4, but Universal released a fun parody trailer of Jaws 19. There are several hover-type skateboards available, but none yet that operate like Marty’s hover board. Those currently in use require a special surface to work or operate off of helicopter rotors. We will have to wait a bit longer for this fun device. This one is mixed. Most of the clothing worn is a miss, but they did get right commonly wearing athletic apparel. This one is unknowable yet. Cubs did make it into the play-offs however they are trailing 0-4 at this time. Because of conflicts with his television series, Family Ties, Michael originally turned down the role. Johny Depp, John Cusack and Ralph Macchio all tried out for the part. The studio selected Eric Stoltz and filmed for 6 weeks before deciding they had miscast the role. Michael eventually was able to make his overbooked schedule work and assumed the role. Because of Michael’s busy schedule, most of his scenes were filmed at night. Many scenes that included other cast members in daylight hours were filmed with a Marty stand in. 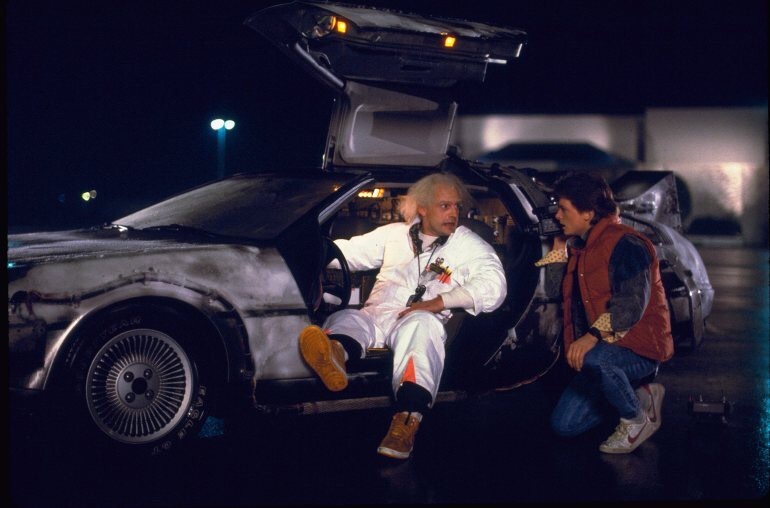 Because the production was running over budget, the ending of the film, which was supposed to take place in Nevada at a test nuclear site was rewritten to remain in Hill Valley and the clock on the courthouse was added. The time machine was intended to be a time chamber, made out of a refrigerator. Zemeckis and Gale became concerned that children would crawl inside of refrigerators, after seeing the film. And they liked the strange and futuristic look of the DeLorean. They decided to go with that. Universal Studio executive Sid Sheinberg tried to have the title of the movie changed to “Spaceman from Pluto”. I’m really glad he was unsuccessful! What an interesting day, and how amazing to think that 26 years has passed since Back to the Future II released, giving us a peek at what was ahead. I was 31 years old. At the time, I couldn’t see much further ahead than raising my kids. I’ve accomplished that and have grandchildren to enjoy now. Although the Back to the Future movies were fun, I don’t want to know what the future holds. I’m content to discover it, one day at a time!